Paneer tikka masala is a famous indian main course curry dish. 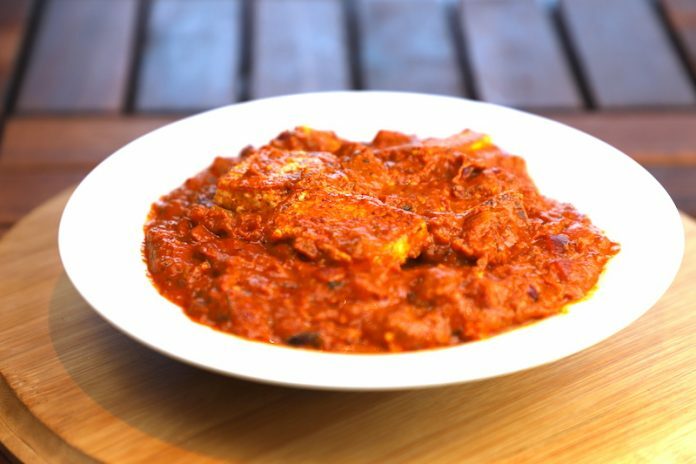 In paneer tikka masala marinated and grilled paneer cooked in typical indian style gravy prepared with onion, tomato, ginger, garlic and spices. 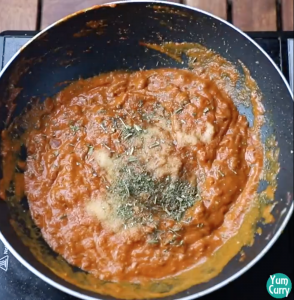 Paneer tikka masala can be enjoyed with chapati, naan or rice. Paneer tikka masala is little spicer than shahi paneer and paneer butter masala. There are two variation of Paneer tikka dry and gravy, dry is known as paneer tikka – the most popular appetiser among the vegetarians and it is one of my favourite vegetarian starter. Traditionally cooked in tandoor in screwer with vegetables. If we put these tikka’s to gravy it is called as paneer tikka masala which i am preparing today. 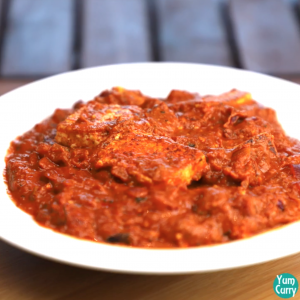 Paneer tikka gravy is spicy and very rich in taste. Paneer is the best replacement for protein , especially non vegetarian people if they are seeking take some time off chicken can best include in their dish. Paneer is one of the most versatile ingredients From spicy gravy to sweet dish like chhena, it can be used in anything. A decade ago paneer dishes are generally considered a restaurant dish, we literally go out with family for dinner to have paneer, or it is prepared at home only when some special guest are visiting us. But now we have making paneer once in week, probably taste of people have changed or possibly it is easier and quicker to make. My gym Instructor advise me to include roasted paneer or grilled chicken in a meal and after knowing health benefits of paneer, I included some roasted paneer pieces in my meal. It keeps me full for long time, and also helps me to get some part of my daily protein and calcium intake. Paneer is most common cheese that used in most of traditional indian cuisine. Paneer is not having strong taste of its own, so it goes easily with any dish from spicy to sweet. Both variation of this dish are simply amazing and irresistible. smoky tandoor cooked paneer tikka with vegetable is great starter or appetiser. It has all goodness and health benefits of paneer and vegetable cooked in very less oil. The other variation is paneer tikka masala, marinated and grilled paneer tikka’s cooked in tomato and cashew riched gravy. It has bright orange colour, fragrance of kasuri methi(dried fenugreek leaves) and aroma of spices, you might not have any reason to say no to this delectable dish. This rich and delectable recipe is very easy to make. 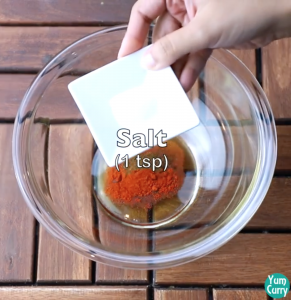 You just need few ingredient. 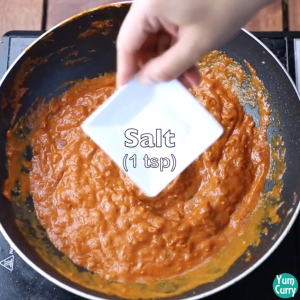 Paneer tikka masala is prepared in two steps. 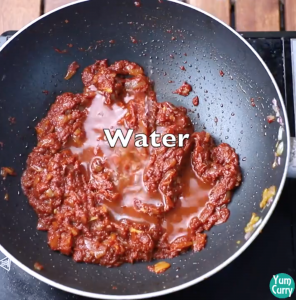 First you have to prepare tikka’s and then gravy. 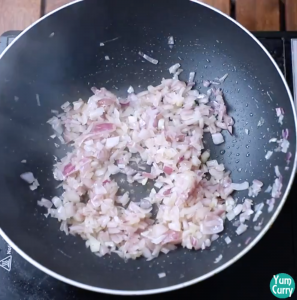 I am using malai paneer for tikka’s, malai paneer is very soft, spongy, milky and fresh. when you take a bite, it should melt in your mouth. Next important ingredient is curd. For marination always used fresh and thick curd. Add curd and all spices along with ginger garlic paste and marinate paneer cubes and start grilling. 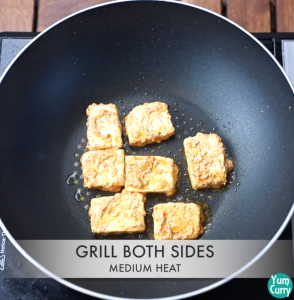 To get extra crispness to paneer grill them until they turn golden brown from both sides. Next come to the gravy. As the other paneer gravy it is also prepared with almost same ingredient but secrete of different taste hidden in quantity of ingredient. Many of indian gravy use same spices like cinnamon, cardamom, bay leaves, star mice, turmeric, coorindar and red chilli, still all of them taste different. Paneer tikka masala is little spicy. paneer tikka gravy is mixture of onion, ginger garlic paste, spices, cashew paste, fresh cream and kasuri methi(dried fenugreek leaves). 1. If you are vegan, you can substitute paneer with firm tofu. 2. Do not add too much water it taste good with thick gravy. 3. you can marinate paneer over night. 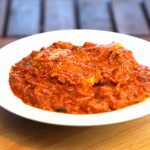 Do you still rush to the restaurant to have paneer tikka masala, try my recipe and make restaurant style paneer tikka masala at home with easily available kitchen ingredient. 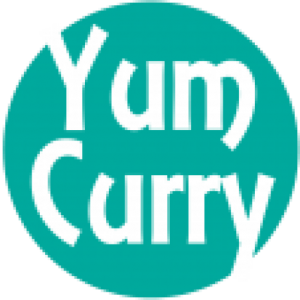 Please check recipe of garlic naan,and tawa pulav you can enjoy with paneer tikka masala, i have prepared more paneer recipe and main course dishes like paneer butter masala, shahi paneer, palak paneer, matar paneer,and dum aloo. 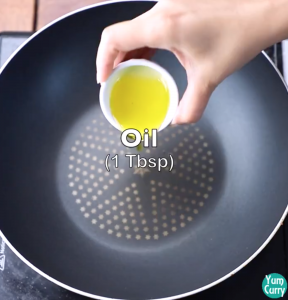 Take a mixing bowl, add 2tsp mustered oil. 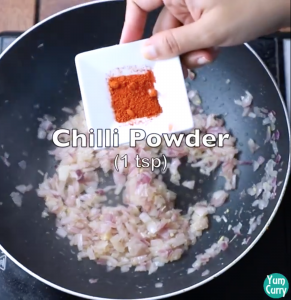 Add red chilli powder, garam masala and salt. Mix all ingredient. 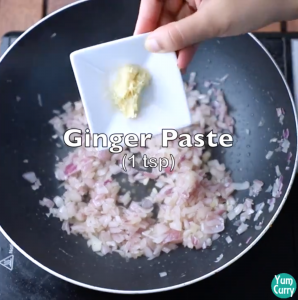 Add 1 tsp ginger and 1 tsp garlic paste. 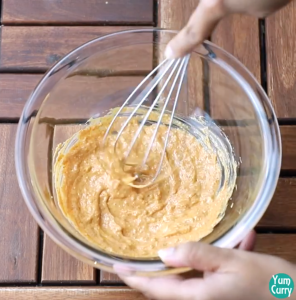 Add 4 Tbsp Curd with the help of whisk, mix all ingredient and make smooth paste. 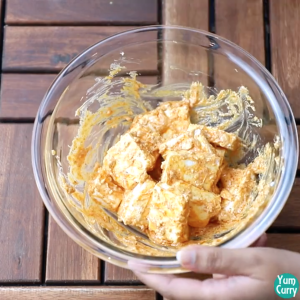 Cut medium size paneer pieces and add in to marination paste. 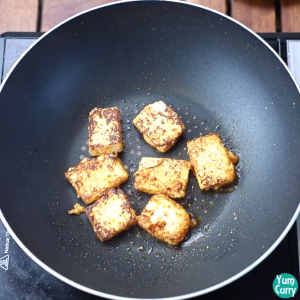 Now gently with the help of spatula try to coat paneer pieces with marination paste. Keep it aside. Heat a pan or kadhai, spread some oil and start placing paneer pieces. Grill paneer pieces untill turn golden brown from both the sides. Takeout from the pan and keep it aside. Soak 8-10 cashews in water. 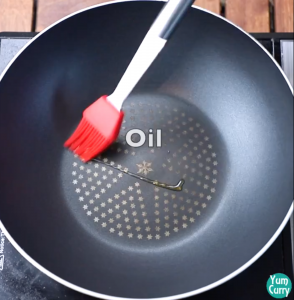 Heat a kadhai or pan, add 1 tbsp oil. 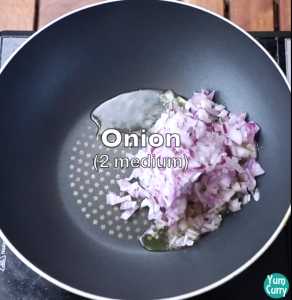 Add finally chopped onion, saute them until turn translucent. 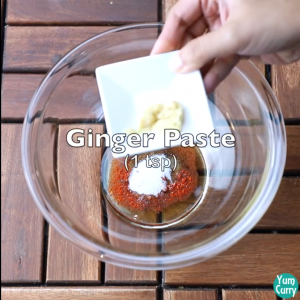 Add 1 tsp ginger and 1 tsp garlic paste. 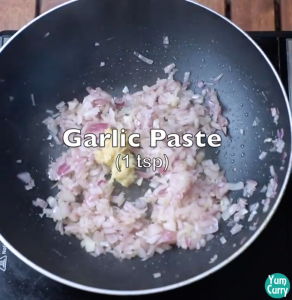 saute till the raw aroma of ginger garlic paste goes away. 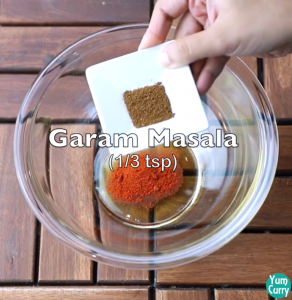 Now start adding spices, red chilli powder, coriander powder, turmeric powder and garam masala. Mix all spices well, and cook for some time. 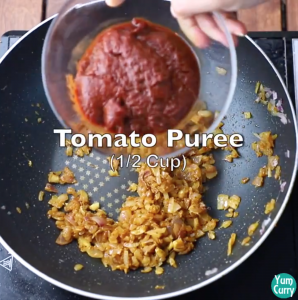 Add 1/2 cup tomato puree and water to desired consistency. Saute till the mixture become like a paste. Cook for 5 minutes. 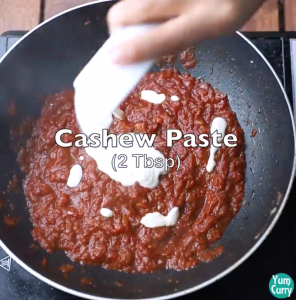 Make fine paste of soaked cashews and add in to gravy along with fresh cream. Mix well, add salt to taste and 2 tsp karsuri methi( dried fenugreek leaves). 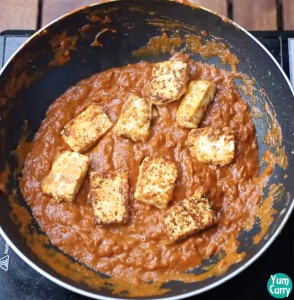 At last add grilled paneer cubes and gently mix in to gravy. Paneer tikka masala is ready. 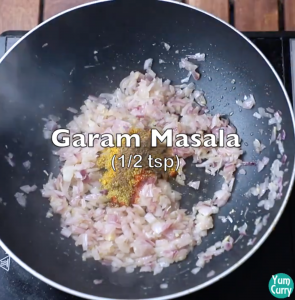 Serve hot with naan or rice. 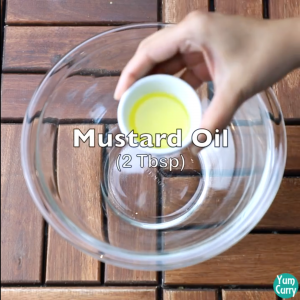 1.Take a mixing bowl, add 2 tbsp mustered oil. 2. 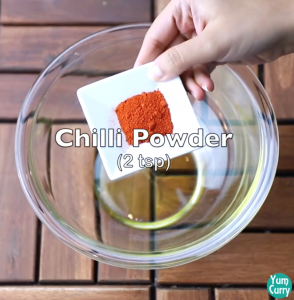 Add red chilli powder, garam masala and salt. 3. 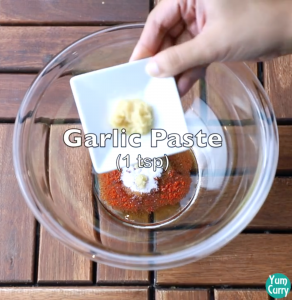 Add ginger garlic paste, and mix well. 4. 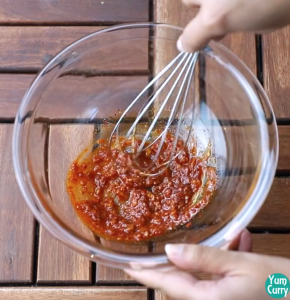 Add 4 Tbsp Curd with the help of whisk, mix all ingredient and make smooth paste. 5. 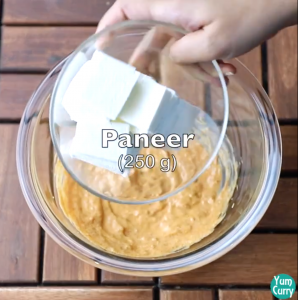 Cut medium size paneer pieces and add in to marination paste. 6. 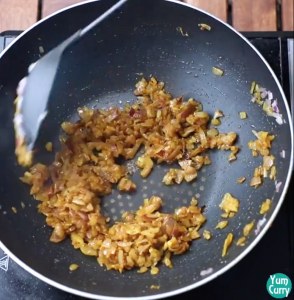 Now gently with the help of spatula try to coat paneer pieces with marination paste. Keep it aside. 7. Heat a pan or kadhai, spread some oil and start placing paneer pieces. 8. Grill paneer pieces untill turn golden brown from both the sides. 9. Takeout from the pan and keep it aside. If you like my recipe and tried at your home and please come back here and let me know in comments how you liked it.